Articles posted by Sean Patrick Griffin, Ph.D. The first edition of Black Brothers, Inc. included 104 pages of endnotes. This, as I suspected it might, became the source of considerable conversation – good and bad! Plenty of readers were enamored with the legwork behind, and the handiness of, the notes. However, there were apparently more folks annoyed by their impact on the read, not to mention the added bulk. As a result, I have included only those notes needed to appropriately credit sources explicitly quoted in the narrative. This has only been done if the citation is an author or media outlet (i.e., not an interview, a court document, or a law enforcement document). Other notes have been edited out entirely. Thus, if readers are interested in the documents or other information left out of this edition’s notes, the 2005 version should be consulted. Much of the literature on organized crime in the United States falls into two all but mutually distinct camps. One camp consists of very popular, especially readable, books whose credibility is all but impossible to assess because there is no effort made to provide the reader with the sources for the book’s claims. Many of these books could aptly be labeled “based on a true story”, though they are not identified as such and the reader has no way of determining what is fact and what is fiction. Often times, these tomes are based exclusively on the words of gangsters and/or law enforcement officials, who are each prone to self-aggrandizing and worse. In the other camp of literature there resides a wealth of solid, if not sensational, academic books written in a far more technical style – bereft of the non-essentials such as quotes by actors, vivid depictions of historical events, etc. For the investigative reporter, the historian, and other like-minded researchers, these books are invaluable because the reader can quite easily track down the sources of information used by the author. Thus, these arbiters of accuracy can replicate the study by assessing the documents for themselves and so on. Unfortunately, such books can make for dreadful reading, and audiences are therefore commonly left with a losing pair of options when picking an organized crime read: sensational but dubious vs. accurate but lumbering. 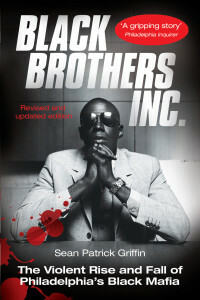 This brief discourse is presented to defend the endnoting throughout Black Brothers, Inc. (or Superbad to give this book its UK title). While every effort has been made to strip the book of academic prose, I want the reader to have confidence in the veracity of this complex historical account.